Looks like ol' Blackie is giving this Cowboy a run for the money! 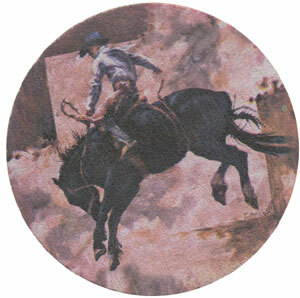 These coasters depict the classic rodeo event, saddle bronc. The set comes with four matched coasters. These coasters are made right here in Arizona.